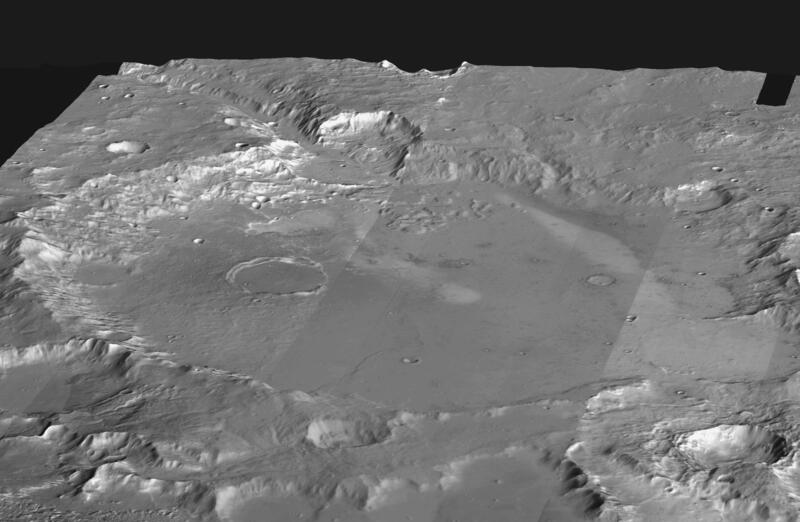 This mosaic of daytime infrared images of Gusev Crater, taken by the camera system on the Mars Odyssey spacecraft, has been draped over topography data obtained by Mars Global Surveyor. The daytime temperatures range from approximately minus 45 degrees C (black) to minus 5 degrees C (white). 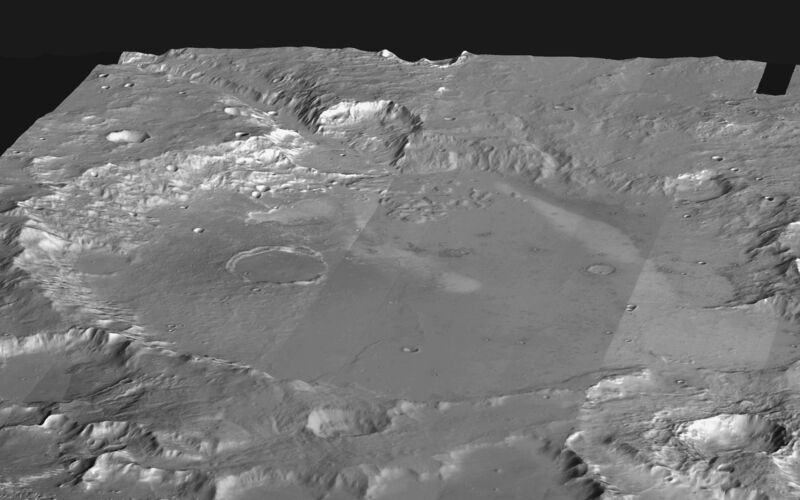 The temperature differences in these daytime images are due primarily to lighting effects, where sunlit slopes are warm (bright) and shadowed slopes are cool (dark). 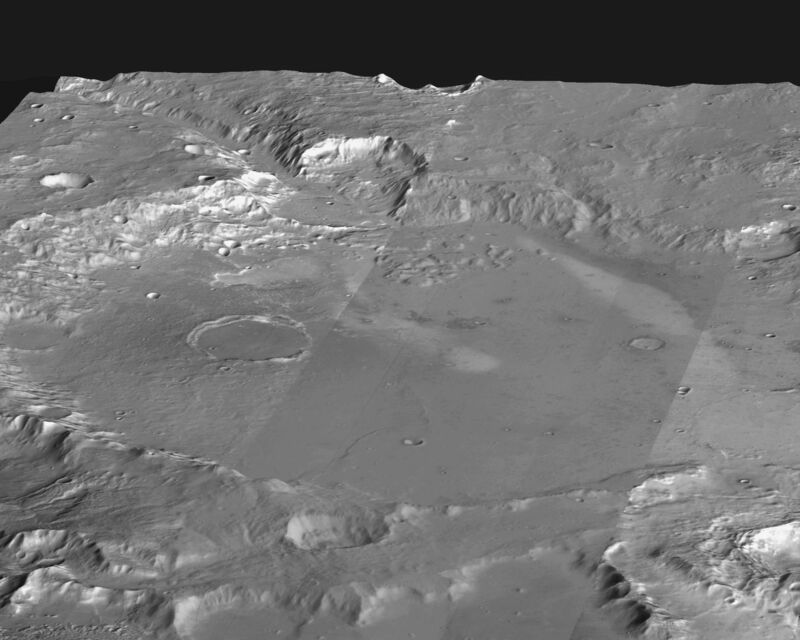 Gusev crater is a potential landing site for the Mars Exploration Rovers. The large ancient river channel of Ma'Adim that once flowed into Gusev can be seen at the top of the mosaic. 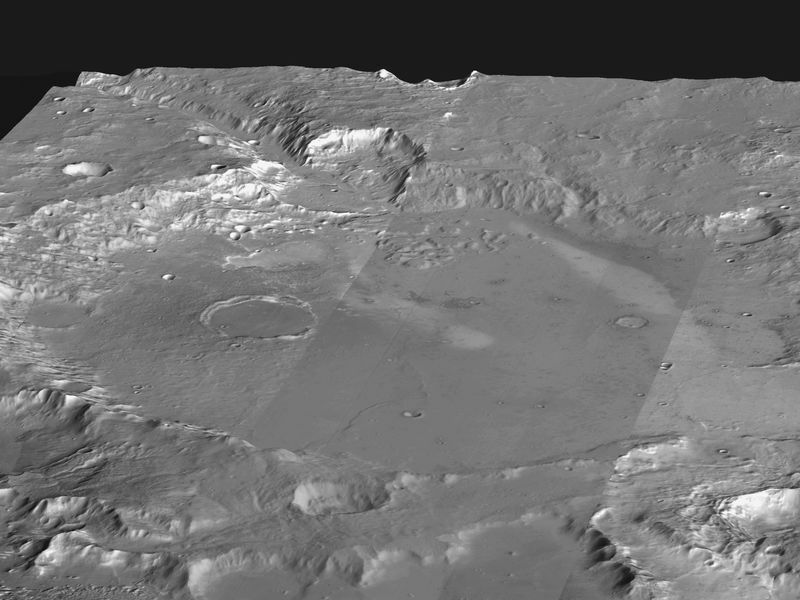 This image mosaic covers an area approximately 180 kilometers (110 miles) on each side centered near 14 degrees S, 175 degrees E, looking toward the south in this simulated view.